When it comes to nutrition, it’s always a case of discovering what works for you and (equally) what doesn’t. Recently, my crew and I conducted a little experiment of our own and decided to kick dairy for two weeks. This meant that for two weeks we said no to our usual full-cream lattes in favour of almond milk, cut our yogurt snacks and reluctantly scrapped the cheese from our toasties. With so many of my clients at 28bySam ditching dairy and seeing serious benefits ranging from clearing skin, fixing troubled tummy’s and even alleviating congestion we thought, let’s give it try! Take a look at what we found after two weeks dairy free. We were forced to try new things. I pride myself on listening to my 28ers and putting myself in their shoes as much as I can, so I loved taking their tips about the best dairy free alternatives. We found that restricting dairy wasn’t so restrictive after all and that there are some seriously delicious substitutes (yes, Milk Lab Coconut Milk and Pana Chocolate, we’re looking at you). We noticed changes in our skin. Some of my crew saw amazing changes to their skin, with previously troubled areas on the face clearing up and itchy inflammation and eczema prone regions on the body starting to disappear. We started to feel lighter. One member of my crew who has a particularly sensitive stomach even saw an end to the consistent bloating and discomfort that she had been experiencing. We might have missed out on essential nutrients. While we all know that dairy is high in calcium and rich in bone building nutrients, it may be lesser known that dairy foods are packed full of nine key nutrients – including potassium, phosphorus, protein and vitamins A and D, that are all vital to maintaining a healthy body. (If you’re thinking of ditching dairy in the long-term these nutrients can of course be made up with other different foods). We gave up a lot of the good stuff. We realised just how many of our favourite foods contained dairy and yes, saying farewell to haloumi was confronting for all of us. Dairy free isn’t always diet friendly. While there are plenty of dairy free options on offer, remember that many of these are not direct substitutes for dairy in terms of nutritional value. Many dairy free substitutes are packed full of sugar and artificial additives to enhance flavour and texture, so we had to think twice before overindulging in too much coconut yoghurt. The most important thing we noticed from our little experiment was that all of us responded so differently. It really was a great example of how different foods will affect different people in different ways, and while dairy is so healthy and highly nutritious, it’s just not something that everyone can tolerate. So, while a few of my crew saw serious benefits from a dairy free lifestyle and have now chosen to reduce their intake, the rest of us welcomed cheese, milk and yogurt back into our lives with open arms. At the end of the day, ditching dairy truly reinforced my philosophy that healthy lifestyles need to be centred around balance and that we should never completely cut out something we love unless it really isn’t agreeing with us. 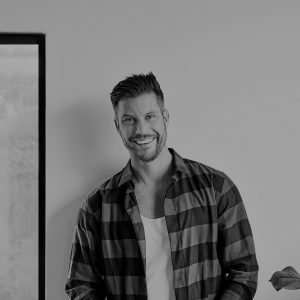 Sam Wood; known for his debut in The Bachelor Australia in 2015, is a successful Entrepreneur and a well known Health & Fitness Trainer, who has recently launched an online fitness program called 28 by Sam Wood. This program is designed to help people become a better version of themselves, through the use of a healthy eating plan and enough exercise. Coconut water. Why you should give it another go.